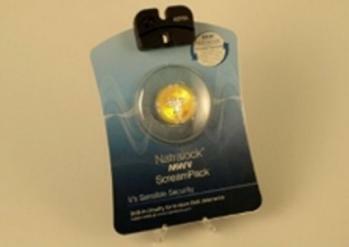 Vorbeck Materials says that MWV Packaging is set to launch the first graphene-ink based product in Q1 2012. The product is the Siren Technology security smart packaging which is currently in the last stages of field tests. The new security tags are more aesthetic and have an appealing design. The Siren labels will work inside retail stores like conventional electronic article surveillance systems (EAS tags, used to identify items as they pass through a gate) and also outside the store. All this while costing a few cents per label. MWV is using Vor-ink to build fully integrated conductive circuit consists of graphene - which shows excellent conductivity at competitive price, and can also be flexed and wrinkled without damage to the circuit. MWV Packaging uses flexographic roll-to-roll printing to process Vorbeck's graphene-based Flexo-Vor-Ink at 60m/min. To complete the circuit the retailers simply attach a thin, reusable electronic module that gives the alarm sound via an integrated speaker if removed from the package or other damage to the circuit.